Tim Mullooly: Hello and welcome to Living with Money. This is episode number 000. That’s kind of unusual, don’t you think. A little bit, but let me tell you why we’re doing an episode zero. If you’re ever watching a TV show, let’s say like Breaking Bad or Game of Thrones, Tom was actually saying this before we turned the microphones on, but I’m stealing his thunder here a little bit. Wouldn’t it be great if you could just go back to the beginning and watch episode zero, and they outline exactly who these people are, what their purpose is, and what’s going on. I think that’d be pretty great. So that’s what the purpose of this episode zero is. Tom Mullooly: You know, there are so many podcasts coming out at this time. Many, many more than last year and the year before and the year before that. So I think it’s helpful to have an episode zero so we can talk a little bit about what we’re going to accomplish and give everybody kind of a road map for what to expect, but I think we should introduce ourselves first. Tim Mullooly: Right. My name is Tim Mullooly. Tom Mullooly: And I’m his dad. Tim Mullooly: That is true. Tom Mullooly: I’m Tom Mullooly. Hello, and welcome to Living with Money. Tim Mullooly: Yeah, together we will be your hosts throughout this podcast. Living with Money is going to serve as both an educational and inspirational experience hopefully for you, our listeners. The point of Living with Money is pretty much everybody lives with money in either one way or another. Everyone has their own unique story. We want to share their stories, so through educational episodes with different examples of topics, and also some guest interviews as well. We’re going to be sharing stories of people from all different walks of life through different careers, different industries and just with different experiences because everyone has a unique take on how to use money. Tom Mullooly: Something that Tim and I both agree on is that it’s great to read these inspirational stories. It’s far better to hear it in these person’s own voice as they tell you the story how they were flat broke or down to their last $26 and they got an idea that started a business, that got them rolling, and hopefully will provide some inspiration for some of our listeners as well. Or that person that you may know, you’re listening to one of our podcasts that we’ve recorded. Someone who was deeply in debt and was able to finally dig out of that hole. What did they do? What kind of steps did they take to get them on the right path? We really think that rather than writing about these stories, getting these folks on here to talk about what they were feeling at the time can really help our listeners and get their lives financially turned around. That’s so important. That’s kind of like what we’re going to be, the topics we’re going to be talking about here. You might hear someone on a podcast here, on an episode talking about something saying, “Wow. I’m going through the exact same thing. I want to hear how they got through it,” and maybe get inspired to get yourself out of that situation or take some action and find a better solution. Tom Mullooly: A lot of us want the solution. We want the fix, but we don’t know what the first step is or what the next step is. So the goal behind some of the stories that we share and some of the guests that we have on our podcasts will help you decide, “Okay, my next step or my first step is going to be this.” And that’s so, so important. Tim Mullooly: So not only are we going to have interview episodes with guests, we’re also going to have educational episodes with myself and Tom, talking about different topics, starting from the very basics of personal finance, stuff that you probably should have learned throughout grade school and high school and college, but you probably didn’t. We’re going to be talking about that, to make sure that you have some good foundation underneath you in terms of personal finance habits and just better practices in terms of dealing with your money. Tom Mullooly: I think Tim and I both agree that we believe that basic financial tools should be discussed in high school, and should certainly be a part of the curriculum for every college graduate. Basic things like knowing how to balance a checkbook. One of the things that I think people don’t do anymore is they may balance a checkbook, but I wonder how many people actually reconcile their checkbooks. Very few people even know what that means. Tom Mullooly: Which is really scary. Well, if there’s more in there at the end of the month, then I guess we’re good. Life doesn’t work that way, guys. So we want to help you get ahead, and it starts with some of the basic things. How do we open a brokerage account? How do you know what’s important for your taxes and what’s not? Why is maybe having a tax-free account not a good idea? We’re going to cover some of these things in our episodes that are coming up. And I’m glad that we could explain this in an episode zero. So now that we’ve talked a little bit about what we’re going to cover in these episodes, I think it would be a good opportunity for us to talk about our favorite topic, us. Tom Mullooly: So Tim, why don’t you start? Give us a little bit about your background and where you’ve been to this point? Tim Mullooly: Sure. I graduated from York College of Pennsylvania. I studied business. While I was there I was the president of the Phi Kappa Psi chapter fraternity on campus. After graduation, I began working at Mullooly Asset Management and shortly thereafter that, I became licensed as an investment advisor representative, and alongside managing clients’ money and talking with clients on a day-to-day basis, I also take part in helping publish content on our website. You know, videos, podcasts, blog posts, pretty much anything that has to do with our social media accounts. All that good stuff I have a hand in on a day-to-day basis. A little bit about me as a person outside of work. I really enjoy music. I’ve been playing the drums for over 10 years now. Sing a little bit. I’m in a couple bands. If you’re in the Jersey Shore area, keep an eye out for my bands on any given weekend. Also a big Mets and Jets fan. You might hear some sports talk, some sports analogies as well. We’re big sports fans here in the office, too. Enough about me. Tom, let’s hear a little bit about you. Tom Mullooly: Well, I first want to say that Tim’s being a little bashful in the sense that he is the king of Twitter. Tom Mullooly: Tim is really doing a great job in terms of making us more visible in all forms of media. We advertise in the local paper. We advertise on cable TV. We are all over social media, including Facebook and Twitter, LinkedIn, and Tim is behind all of this, including all of the blog posts and the videos and podcasts, as well. He’s really doing a bang-up job with that. Me? I graduated from CW Post back in the ’80’s. I started working for EF Hutton, a firm which is no longer around, back in 1983. 20 years old, I was working in their financial planning department, putting together financial plans for millionaires. I had zero experience with money. I wish there were a podcast back then for Living with Money. I later became licensed as a stockbroker, and enjoyed doing that for 16 years. Along the way, I became a manager with a very large firm, and that was a very eye-opening experience for me because I got to see not only how brokers work, but how the retail operation works, and how they make their money. How the sausage is made. That drove me to start my own firm in 2002. I started Mullooly Asset Management as a fee only investment advisory firm, and I have the distinct privilege of working alongside my three sons as investment advisors, all of us. So we take a team approach to putting together financial plans for our clients, and also help them manage the risk in their investments, whether it be for retirement or for college or for some other goal that’s behind them. Tim Mullooly: So now that you know a little bit about us, hopefully throughout this episode you’ve heard something that’ll make you want to come back and continue to listen to these episodes. We’ve got loads of experience behind the microphone here. Stuff for young people and people near retirement, and everything in between. We have really unique perspectives when it comes to different ages and where you are in your life. That’s going to do it for episode zero of Living with Money. 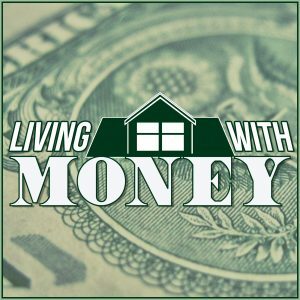 You can find us on iTunes, Sound Cloud, Stitcher, all over social media, and also at LivingWithMoney.com. Tom Mullooly: Thanks for listening.